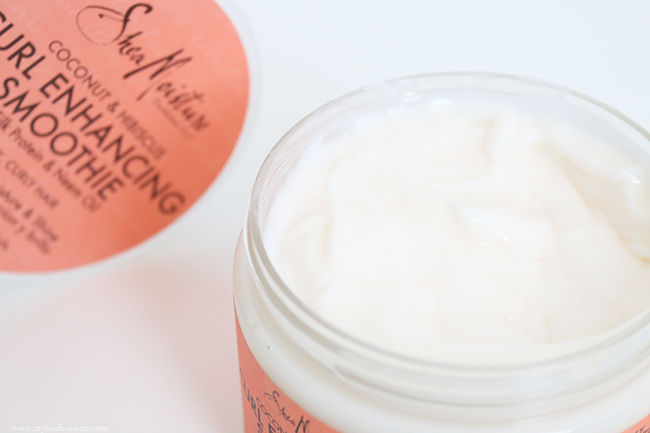 In March, I finally lost my SheaMoisture virginity and purchased two products which I had heard a lot of good reviews on. The first product was the SheaMoisture Jamaican Black Castor Oil Leave-in Conditioner, and I've reviewed that earlier so stop by and have a read. 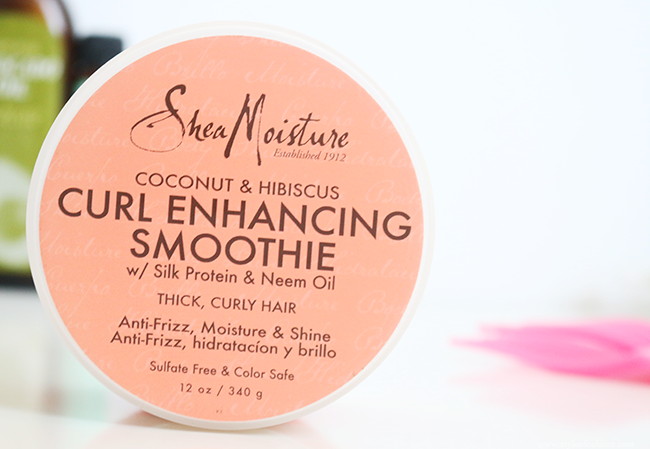 The other product I got was the SheaMoisture Coconut & Hibiscus Curl Enhancing Smoothie. The product comes in a 340g jar and has the consistency of leave-in conditioner mixed with gel. 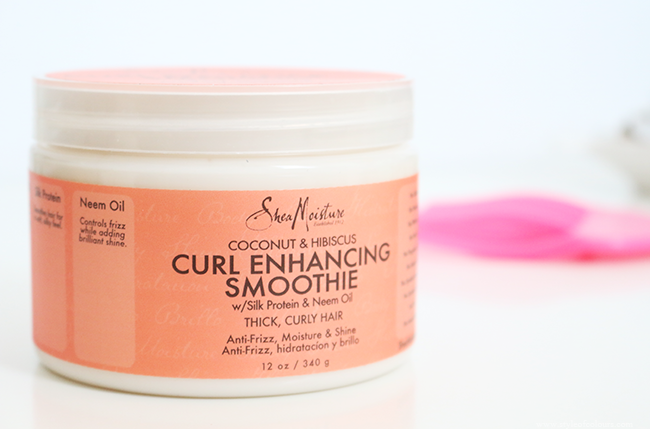 The SheaMoisture Curl Enhancing Smoothie defines curls, reduces frizz and adds moisture & shine. This curl cream contains Shea butter, Coconut Oil, Silk protein, Neem Oil, Avocado oil and lots of other great natural ingredients. I started using this product towards the end of my transition for braid outs and was even able to pull off wash and gos thanks to it. 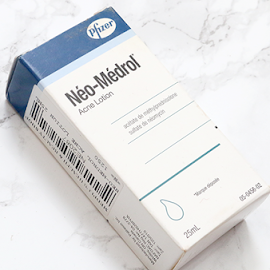 Now I'm using it on my natural curly hair and it is amazing. The consistency is perfect because it hydrates your hair and gives your curls a nice hold without drying out the hair or becoming flaky. About 2 weeks ago, I used it on a braid out for the first time since I became fully natural once again, and I was blown away with the results. 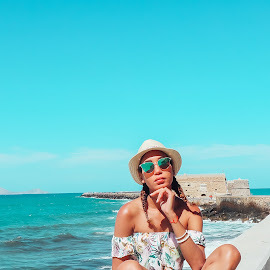 My curls were so defined, moisturized and frizz free, and that was the moment I knew this is one of my favourite products I have tried. Stop by my instagram (itsanitasky) for pictures on the hairstyles I do using this product. Likes - hydrates, defines curls and gives a nice hold. Available - SheaMoisture, Afro stores. What is your favourite product for braid outs or wash and gos?